Welcome to the American Radio Relay League Oklahoma Section. 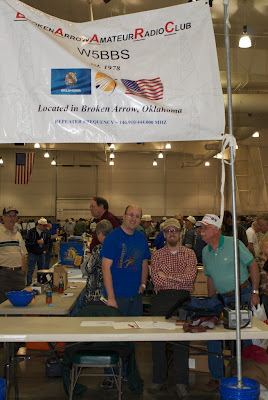 The Leadership of the Oklahoma Section hope you enjoy what the League is doing. Please feel free to send comments. 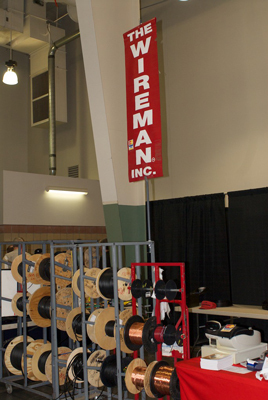 Find us on Google+, Facebook, and Twitter. Call Us: 147.300, 103.5 tone, 620-845-0599 - My Cell .. .. Look for Towers!! 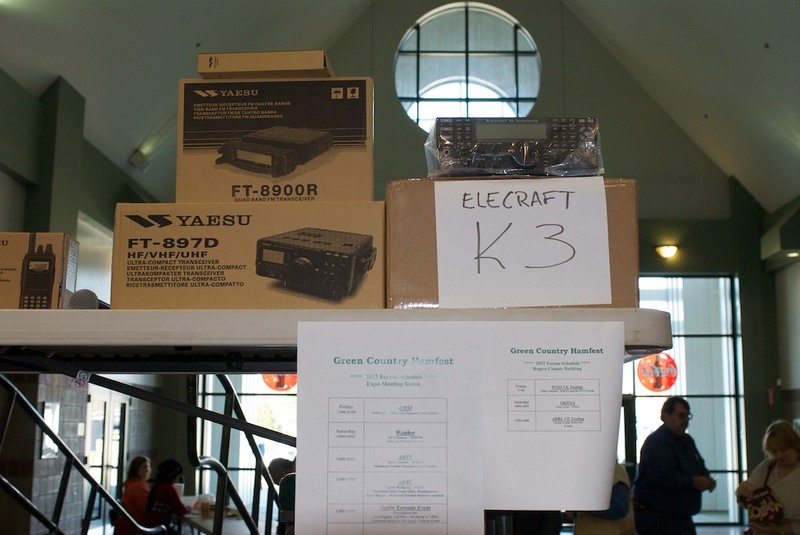 *WC0X will do his best to have a demo on satellite communication. *Bring your excess equipment .. .. no charge for tailgating! *This is strictly a social event. All those attending will become Vice President of the organization. We will have no President, no Secretary, no responsibilities other than being social. No dues, no meetings .. .. I love this organization! Thanks to Gerb, KB0HH for this report. The ARRL Public Relations Committee will be holding a free Webinar forPIOs, PICs, club officers and anyone else that wants to learn theeasiest and most effective ways to write up a media release for FieldDay and actually get it noticed by the media in your home region. actual type of people you want to take notice of your group or club? Kraham, W8CMK, on TV and Don Carlson, KQ6FM, on the radio. hope you can join us live. Register now! Thanks to DEC Brian Gnad KB5TSI for sharing this interesting article on MOBILE NVIS antenna systems. 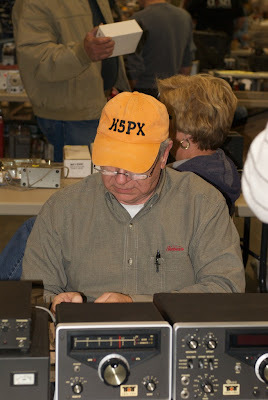 The Aeronautical Center Amateur Radio Club, W5PAA, will be providing a weekend Technician class course that will run April 7th, 14th, 21st, and 28th, with an exam to be given on April the 28th. These four Saturday courses will begin at 8 AM and run until 4 PM, with a one hour break for lunch. The course will be sited at the Oklahoma City Fire Training Academy, at 800 N. Portland, with parking in the east parking lot. The course text will be the ARRL's "Ham Radio Licensing Course", second edition. If you have a book already, you are set to go. If not, email the instructor, so you will have a book at the first meeting. The cost of the book is $30.00 which includes a practice exam CD and all the pool questions. You do not have to have the CD, however, to study. The only other thing you will need to pay for will be the FCC exam itself, which is $15.00, payable at the April 28th final session. This format was used one year ago in a trial run, and found to be very successful in training both technical and non-technical folks. Thanks to Donald Ohse, K5DRO, for this report. Main, according to Dale Town, N5VX, class instructor. The class begins at 6 p.m. each Monday and Tuesday for six weeks. students should be able to pass a Technician level exam. license exam and obtain study material. 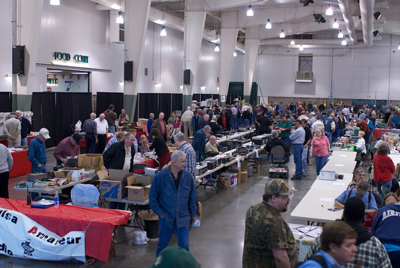 On March 9 and 10, the 2012 Green Country Hamfest was held at the Claremore Convention Center. Shoppers fill the hall looking for that special bargain! 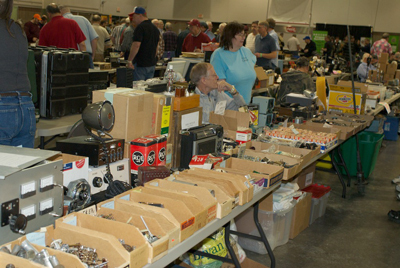 Need a radio? Tuner? Amp? Antennae? Broken Arrow Amateur Radio Club. 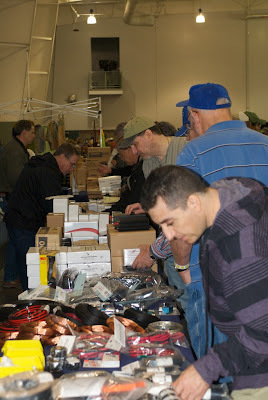 Hamfest is also a time to meet up with friends! Some attendees take in a forum or two. Mark Conklin N7XYO gave a presentation about ARES. 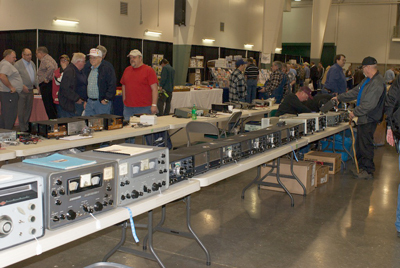 Ben Joplin WB5VST at the ARRL display. And then there are the prizes! Merlin Griffin WB5OSM selecting the next winner. 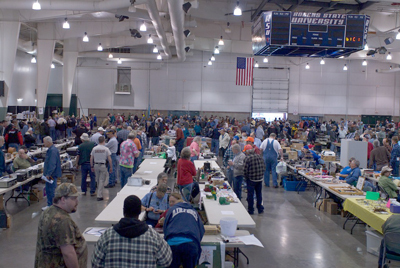 Green Country Hamfest is the largest hamfest in Oklahoma. 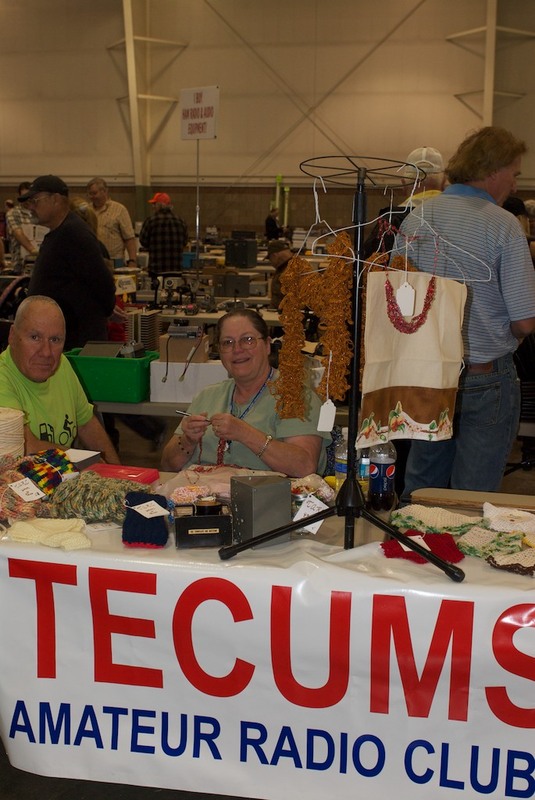 This year's attendees were not disappointed. 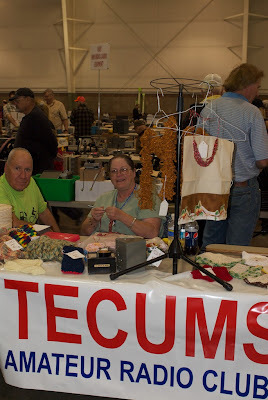 Whether they went for equipment, ham education or just to hang out with friends, this year's event was a big success! Thanks to Bill Downes KE5VKB for the photos. Thanks to Oklahoma Public Information Officer Cindy Downs, K5CED, for the report. Class on March 20 at the Edmond Community Center in downtown Edmond. 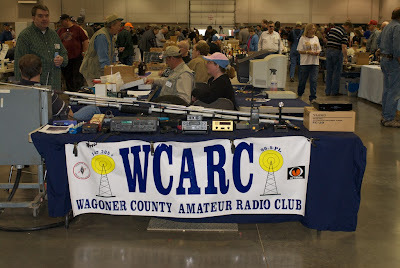 Cost is $25 which includes the ARRL text. 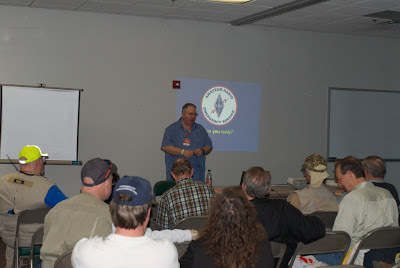 Saturday antenna class taught by Tim, K3LR. Test will be May 5.
the "Classes and New Licenses" button. Does your club have an active youth with good grades and community involvement? Your club needs, then, to nominate someone for this award. The nominating season for the 2012 Amateur Radio Newsline Young Ham of the Year Award is now open. 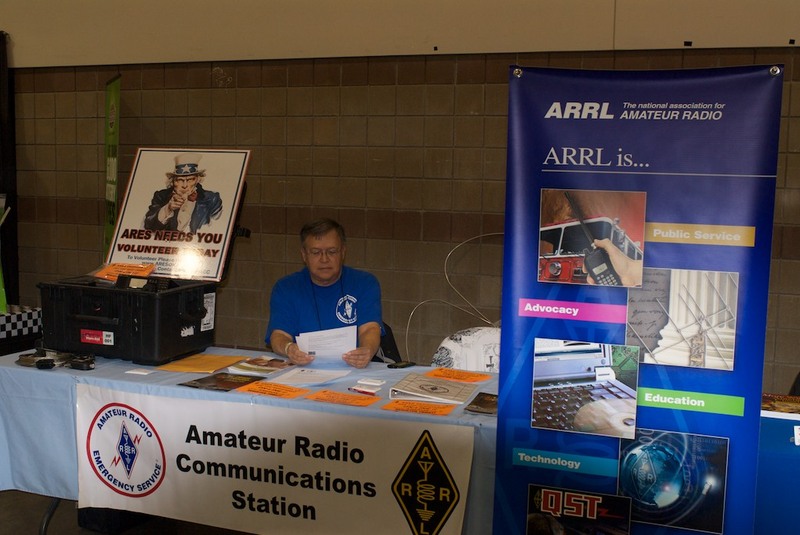 Created in 1986, this award is offered to recognize the accomplishments of a radio amateur age 18 or younger for his or her accomplishments in service to the nation, his or her community or to the advancement of the state of the art through amateur radio. Nominees must reside in the United States 50 states or its possessions or in any of the 10 Canadian provinces. 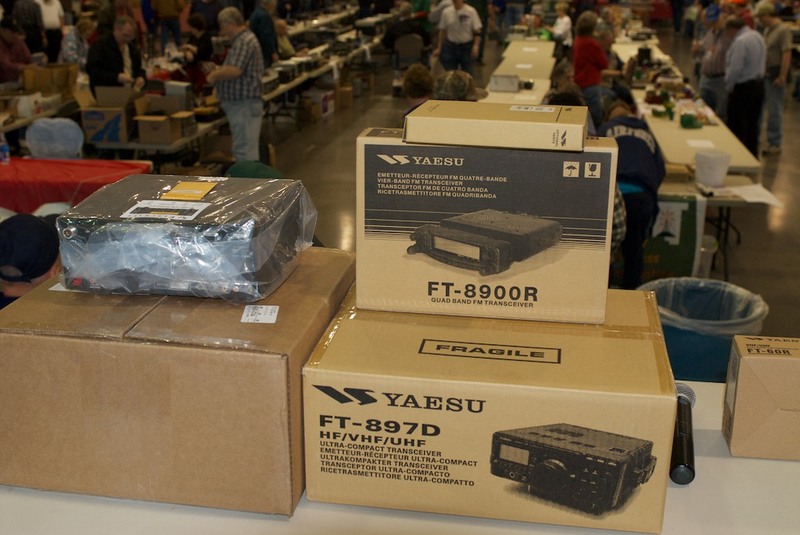 As in years past, Yaesu USA will transport the winner to the Huntsville Hamfest in Huntsville , Alabama, where the award will be formally presented. 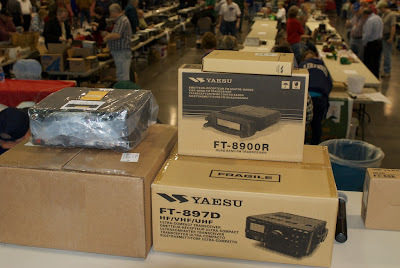 Yaesu will also provide Hotel accommodations as well as convention tickets and a prize of amateur radio equipment to the winner. CQ Magazine will again treat this year's recipient to a week at Spacecamp-Huntsville. Heil Sound Ltd. will be presenting this year's winner with an additional prize. 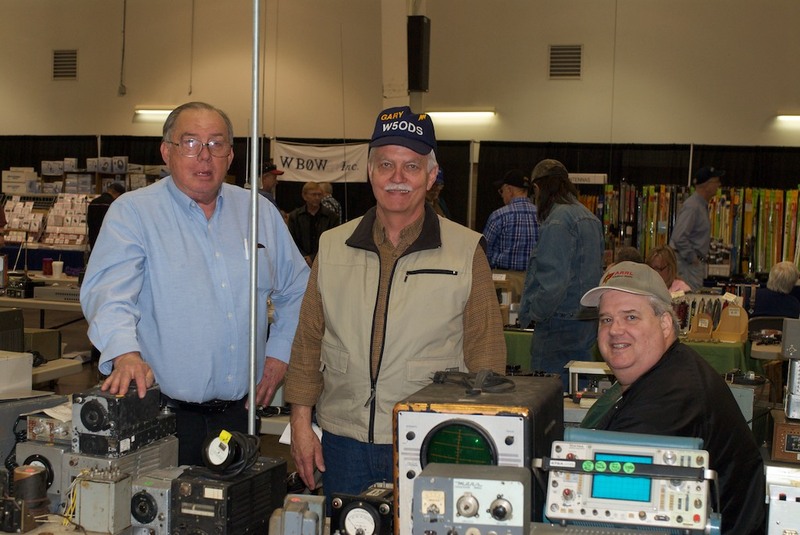 Amateur Radio Newsline will present the winner with the official Young Ham of the Year Award plaque which again this year is underwritten by Dave Bell, W6AQ, of DBA Entertainment in Hollywood, California. 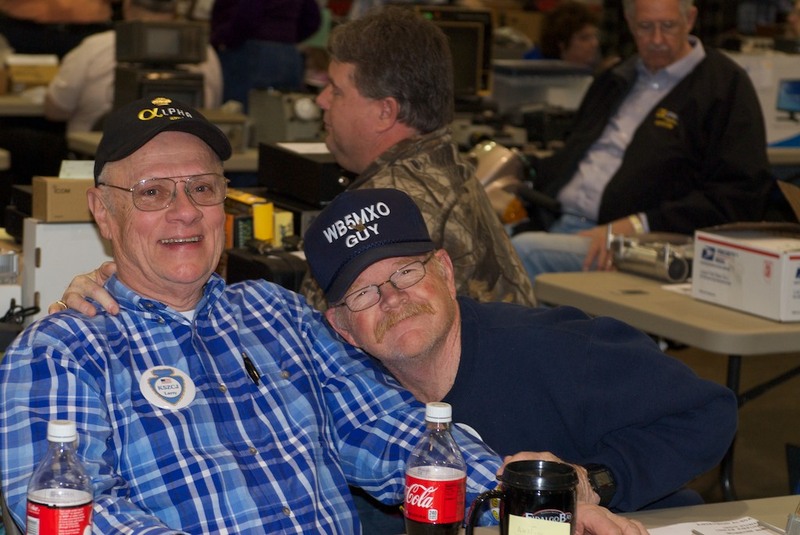 If for some reason the person selected is unable to travel to the Huntsville Hamfest, Amateur Radio Newsline will attempt to arrange a special award ceremony where the recipient resides, such as at his or her school or amateur radio club. Please note that the prizes given to the recipient are second in nature to the actual Young Ham of the Year Award. All nominations and materials required by the official rules must be received by ARNewsline before May 30, 2012. Complete details, rules and a required nominating form in Adobe .pdf format are available on our website at www.arnewsline.org/yhoty. 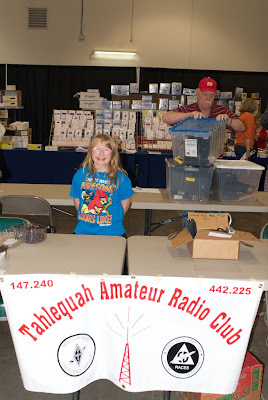 Nominating forms can also be obtained by sending a self addressed stamped envelope to Amateur Radio Newsline Inc., Young Ham of the Year Award, 28197 Robin Avenue, Santa Clarita California, 91350. Please note tat all nominating forms and support materials become the property of the Amateur Radio Newsline and cannot be returned. On behalf of the U.S. Department of Homeland Security Science and Technology Directorate, I would like to invite you to help shape the research and development agenda for the Commercial Mobile Alert System (CMAS). · For CMAS to be effective, what do we need to know about how the public responds to mobile alerts? · What are the key questions that should guide CMAS research and development in geo-targeting of mobile alerts? On this online forum, you can rate existing focus areas developed by the CMAS RDT&E Program, refine ideas in open discussion with other practitioners, and submit your own ideas for research questions that should be explored. Building a research agenda that is in line with the needs of the public safety community requires the input of practitioners like you. So please log on and help inform the research objectives of CMAS, and feel free to forward this to those in your network whose perspectives should be heard. If you have any questions, please contact CMAS_Forum@sra.com. The Department of Homeland Security (DHS) envisions a future where all Americans are able to receive accurate alerts and warnings, regardless of communications technology used. This vision is being achieved through the Federal Emergency Management Agency's (FEMA) Integrated Public Alert and Warning System (IPAWS). IPAWS is a modernization and integration of the Nation's alert and warning infrastructure. It integrates new and existing public alert and warning systems and technologies. In partnership with DHS Science and Technology Directorate (S&T), IPAWS is working to incorporate wireless mobile alerts through the Commercial Mobile Alert Service (CMAS). This inclusion is an acknowledgement of the important role that wireless technologies play in Americans' lives today. Given the wide use of wireless mobile devices, CMAS will help ensure more people receive actionable alerts to help avoid danger or respond more quickly during crisis—thereby saving lives and property. CMAS—developed and tested by FEMA and S&T—is one of the major components of IPAWS. The CMAS component will provide an interface to participating cellular mobile service providers for delivery of critical alert information to cellular phones in a danger zone. Specifically, the CMAS capability will provide local, tribal, state, territorial, and Federal government officials the ability to send 90-character, geographically-targeted text alerts to the public. For more background on CMAS, visit the CMAS RDT&E Online Forum. Are you going to Claremore? 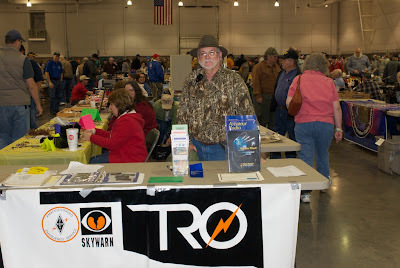 ARES-OK will be holding a meeting at the GREEN COUNTRY HAMFEST this coming weekend. followed at 1100 CST by the ARRL Fourm with Guest speaker QST/QEX Technical Correspondence & Editor Larry Wolfgang - WR1B from ARRL Headquarters in Newington, CT.
Also at 1300 CST DEC Cecil Higgins - AC0HA from the Missouri Section speaking about ARES operations after last May's Joplin Tornado disaster. 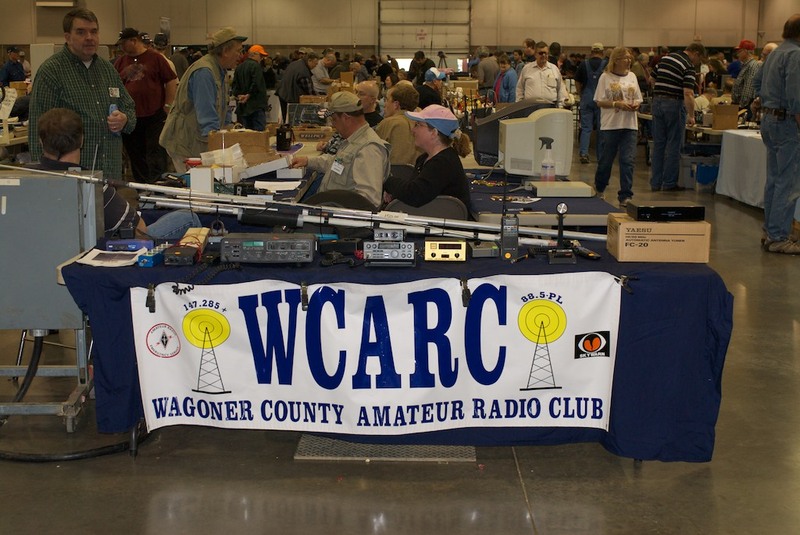 Beginning March 15th, the Oklahoma City Autopatch Association (OCAPA) will be conducting a training course for the Technician Class amateur radio license, an entry level license for the hobby of amateur radio. Classes will be held on Thursday evenings, 6:00 to 8:00 PM at the Salvation Army ‘Citadel’, 2808 SE 44th, Oklahoma City (one block west of SE 44th and Bryant). The course will meet for nine weeks ending on Thursday, May 10th. 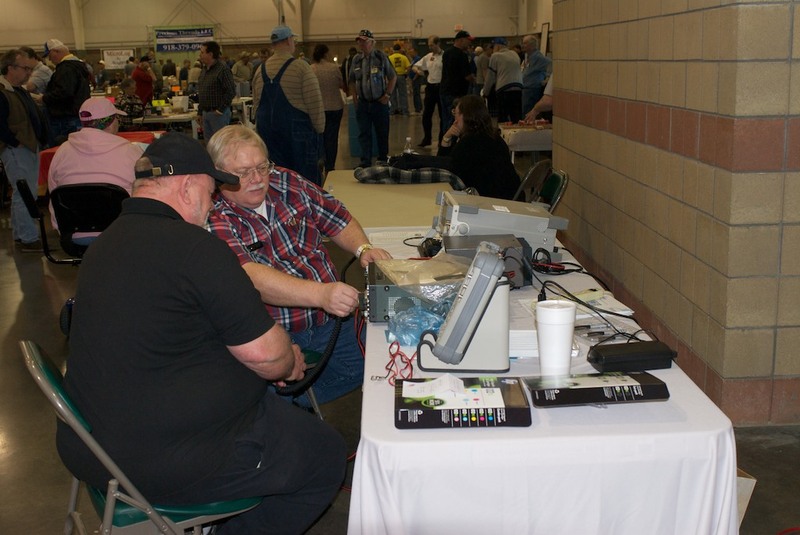 A Federal Communications Commission (FCC) Technician Class license exam will be administered at the final class meeting. There are no prerequisites to take the amateur radio license course save the interest in communicating with other amateur radio operators around the city, state, nation, and world along with providing public service communications support for large events and in emergencies. A technical background is not needed for the Technician Class License, but it is helpful. The hobby of amateur radio is enjoyed by people from a variety of professions and interests. Over the pass several years, the FCC has initiated numerous changes to the amateur radio license structure and administration of license examinations to make it easier to enter the hobby of amateur radio. 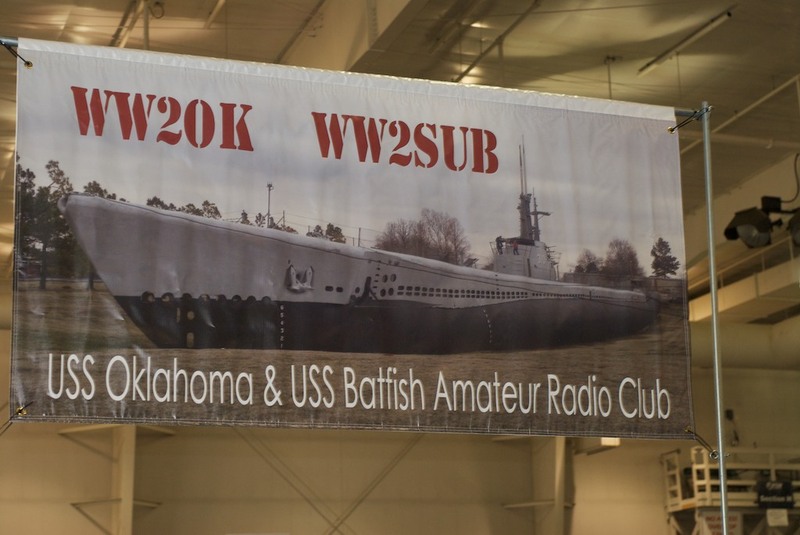 Applicants are no longer required to demonstrate proficiency in Morse Code and the written examinations are held frequently at various locations in the Oklahoma City Metropolitan area. 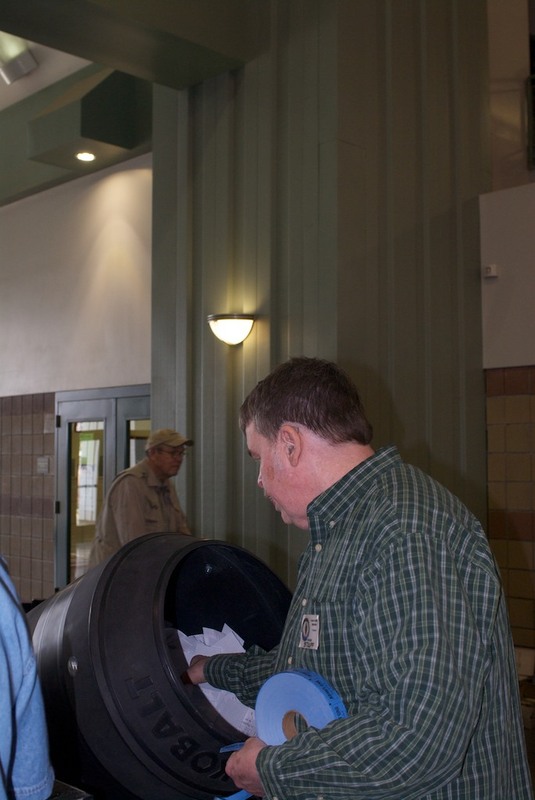 The written license exam, which is 35 questions, will be scored by local volunteer examiners. 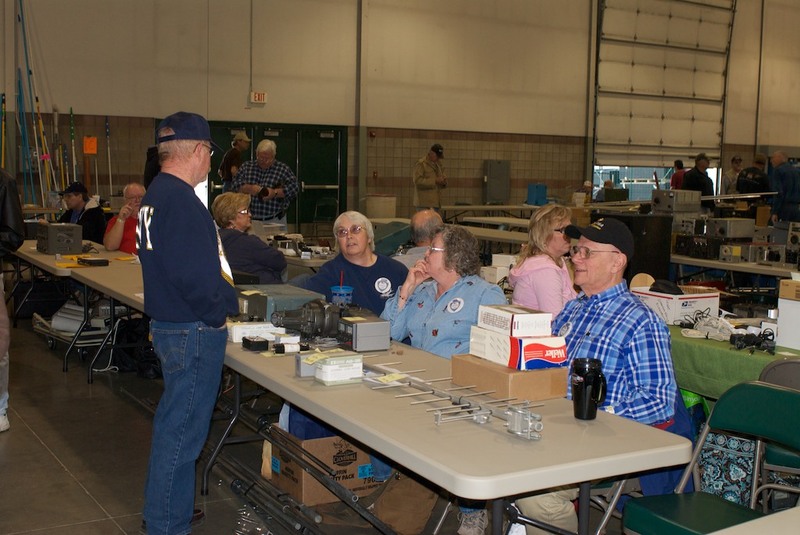 The examination paperwork for successful applicants is then to the FCC who will issue an amateur radio license and call sign. The fee for the course is $40; $25 to cover the cost of the ‘American Radio Relay League Technician License Manual’, which will be available at the first class meeting, along with other course materials; and a $15 exam fee to cover handling of the license exam paperwork at the end of the course. Registration will be limited to 15 students. 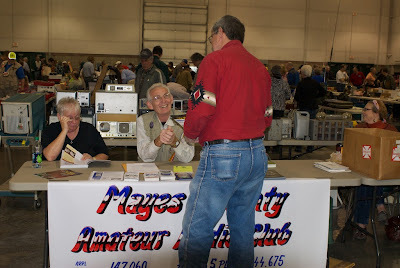 For further information, got to the American Radio Relay League website (http://www.arrl.org/find-an-amateur-radio-license-class) or contact David Duskin, 386-6739 or ddgold@cox.net.